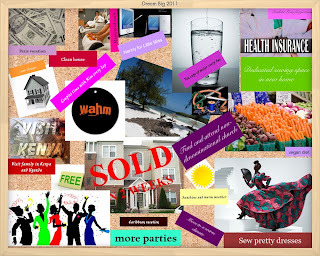 My 2011 vision board asks the universe for a clean house. It hasn't been working out so well. I guess most of my focus has been on obtaining free stuff and having parties! I have received so much from the universe in those areas. Now my home is looking pretty messy and cluttered. I am in no way a clean or neat freak. However, I do find that my mind is clearer and my mood is better when I'm in a clean space. Sunday night while in bed waiting for sleep, I decided that on Monday I would start a new routine. I was going to do "a room a day". No matter how tired I was, no matter how cranky and clingy V got, no matter what other errands and duties I had to take care of. When He left for work in the morning, I told him today I am cleaning our kitchen/living room today. I think vocalizing it was really helpful. I started early even though I was tired and just wanted to sit and sip my coffee. I put on my rubber gloves and pulled out my cleaning supplies. I did more than the quick touch up. I swept instead of using the vacuum. I even swept UNDER the couch. I straightened up our bookshelf that was super cluttered and a graveyard for all things that had no permanent home. I didn't go straight to my google reader to look at all my favorite blogs. I decided to save it for after V goes to bed. When V got cranky, I put her on my back and kept it moving. I worked through her nap giving up my opportunity to shower by myself. I was finished by lunchtime so I still had time to go grocery shopping and take V out in her super cute costume. Today I am cleaning our bedroom including putting the laundry away. I hope that by writing it down it will have the same effect as telling someone. I'm sure it will since I'm speaking to many. What challenges do you face trying to accomplish your daily tasks? What techniques do you use to push past those challenges? When you sweep, do you go under the couches and beds every time? This is the story of my life. I found this on Pinterest and changed it to fit my apt. http://pinterest.com/pin/224125861/ it has been a great help. I set the timer to 20 minutes and done. There is nothing wrong with hiring a service to come and do a deep clean. I'm thinking of doing it at the new year. I want to have my carpets cleaned as well. 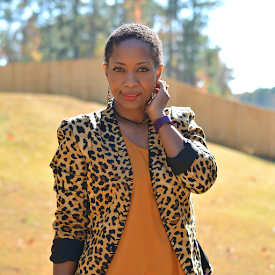 I think this post resonates with most parents - and probably even some adults without kids! We are lucky enough to have a housekeeper, so our plans is clean. And yet, it's a disastrous mess. We have bins for Gavin's toys and we're good about returning the toys to the bins. But, there are now three bins, a piano, a mini-wagon and a huge pile of baby books in our living room that makes it look cluttered! Let's not talk about the piles of clothes (dirty and clean - at least the piles are separate!) and the kitchen counters that keep collecting more and more paper/mail! Good grief! I need a day a week to keep everything straight! I make sweeping a daily task. I've found that if I set one chore to do everyday, it helps get the rest done. Plus, I let Moo help out. She can carry dishes to the sink or put things in the trash. I agree with YuMMommy that doing a daily tasks helps. I have just accepted that I am going to be sweeping, doing a load of laundry and cleaning the kitchen everyday. If I don't the dishes pile up a lot since me and hubby like to cook. The pots are everywhere. I have started having the 4 yr old unlaod the silverware and to pick up his toys daily. Its a constant struggle and annoying but what can you do? I would love a housekeeper fulltime. I am gonna put it on the vision board too. Ok first of all..that costume...is amazing....she looks adorable....second..I pray for organization....I can create like nobodies business....but organize....Nope...nothin...you have inspired me..I need a vision board! I have implemented the same theory. One room a day. With Fridays off. I have been sticking to it pretty well, but sometimes I am my own worse enemy. When I'm tired, I don't do it. This week has been pretty decent. The Mr. did a deep clean so basically I am just picking up. I really wish I could keep a neat, spotless house. Especially seeing that I am home all day but with a toddler who likes to unfold clean laundry some things I don't attempt until she is sleep and then I'm tired. @Laila I like having the place cleaned for me. I normally wait for a really good online deal to come up. Now that I am in hustle mode, I'm saving money wherever I can so for now I must clean. @Nilsa @ SoMi Speaks that's a lot like my place. Toys, paper, and laundry everywhere. We need more space including a laundry area and a better shredder and filing system. So even if I had help, the place would probably look the same? Oye. @YUMMommy that's a good system. Once I get the deep clean done I can focus on 1 chore a day. @Ellen Stewart (aka Ellie/El/e/Mrs. Seaman) I need to do lots of purging. Somedays I just want to chuck everything and start over. @Tricia Hersey violet help me unload by handing me one utensil at a time! I'm starting to come to terms with the never ending laundry and kitchen cleaning. @Shana adding to mu vision board: professional organizer to enter my life. That's a big part of this cleaning situation. No place to put things. @Mimi tiredness is a block for me too. I'm still waiting for the increases energy from exercising. Oh wow! Your post really helped motivate me the past couple days. thank you! I'm usually an early bird but lately I've been having some trouble getting up. If I can get up with my husband does and subsequently my daughter at 6a.m. I can have an awesome day and get everything done. The Bump or Baby Center ran an article yesterday that for WAHM, SAHM - doesn't matter: keeping a clean home is the agreed upon #1 challenge for moms. I am working really hard at my PT job so I can hire someone to do a deep clean 2x month. I wouldn't have a hard time doing in between maintenance though! Thanks again for the inspiration!